German Chancellor Angela Merkel has given her first reaction to the leaked Anglo Irish Bank phone conversations, saying she regards the content of the tapes with contempt. The Chancellor was asked for her reaction to the ongoing revelations about the bank at the end of the first day of an EU summit in Brussels. The Irish Independent this week published transcripts of conversations from 2008 between managers at the bank, which have caused outrage at home and abroad. The tapes include an Anglo executive singing "Deutschland, Deutschland, über alles" as a colleague joked about German money flowing into Ireland after the government's bank guarantee. In a brief but pointed response, Ms Merkel said the recordings were damaging democracy, the social market economy and "everything we strive for". Ms Merkel said it was already an incredible challenge for EU leaders to convince people who get up every morning to do their work, who always pay taxes, who even show solidarity with others who are weaker. She said the recordings were therefore damaging, adding: "This is why I regard this with contempt." A spokesman for Taoiseach Enda Kenny said that the issue of the tapes was not raised at any level during Thursday night's summit of EU leaders. However, speaking in Brussels yesterday morning, Mr Kenny said he agreed with the Chancellor's comments on the tapes. He said: "These tapes are a thunderbolt. They show the contempt and the arrogance and the insolence of senior personnel working in that bank towards everybody. "Towards government, towards citizens with impact on every company, community and every family in our country." Minister for Transport Leo Varadkar also said he agreed with the comments of the German Chancellor. Speaking on RTÉ's Morning Ireland, Mr Varadkar said: "An awful lot has been done in the last two years to restore Ireland's reputation and what these tapes really have done is remind the world of the culture and the banking system that existed under the last Fianna Fáil government. "That's been very difficult for people." Minister for Social Protection Joan Burton said she is not surprised by the German Chancellor's reaction to the 2008 recordings. 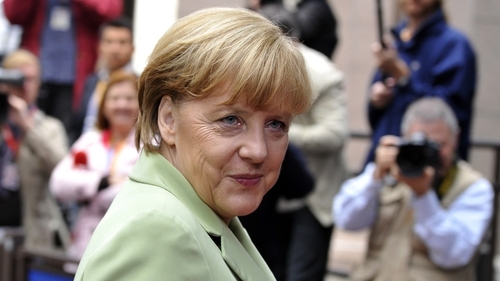 She said the singing of the old German anthem "Deutschland über alles" was particularly offensive. She said no one of Ms Merkel's age could not know the history and context of that song and not be offended by it. 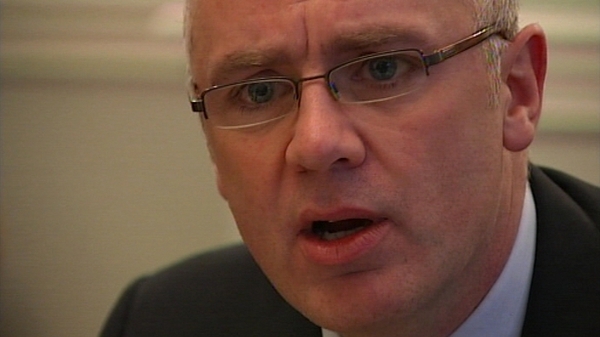 Fianna Fáil Justice Spokesperson Niall Collins has called on he Government to consider seeking the extradition of former Anglo chief David Drumm from the US if he refuses to return to answer questions. Mr Collins said: "The Irish people need to hear directly from Mr Drumm and get his explanation for the language and strategies detailed in these tapes. "If he refuses to return voluntarily to Ireland to answer questions, the Government should make it clear that it will seek his extradition." He also criticised the Government for not having a strategy to bring Mr Drumm home either voluntarily or by extradition to take part in an independent banking inquiry. He said Fianna Fáil would have no problem taking part in an independent public inquiry and the party is concerned with the Government’s intention to create a narrow focus political show trial.